Visit and live through your 5 senses! 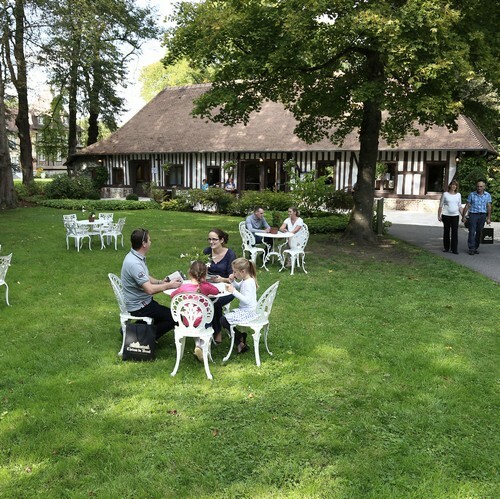 Be fascinated by the activity at the Château du Breuil distillery and discover the distillation process for Calvados Pays d’Auge, a genuine symbol of the gourmet heritage of our region, Normandy. Our experts will share their knowledge and introduce you to the distillation process for Calvados Pays d’Auge Château du Breuil. Push open the door to the incredible Orangery at the Château du Breuil! Be enthralled by the majestic and relaxing space of the Orangery at Château du Breuil. 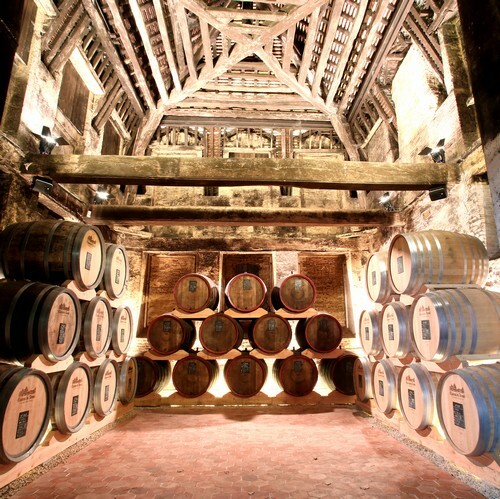 In this space, with its many oak barrels, the assimilation between the wood, the air and the nectar creates the most bewitching Calvados Pays d’Auge. Contemplate the fascinating “inverted hull” shaped framework, discover the action of the wood and time on the Calvados and smell its aromas, feel the different grains of oak used in our ageing. 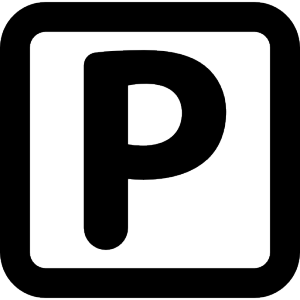 Discover a site listed as a historic monument! This Château with its pink tiles was built in the 16th and 17th century and was the property of great noble families such as the Bouquetots, the Montgommerys, the young Tancrède de Rohan and the Bences. 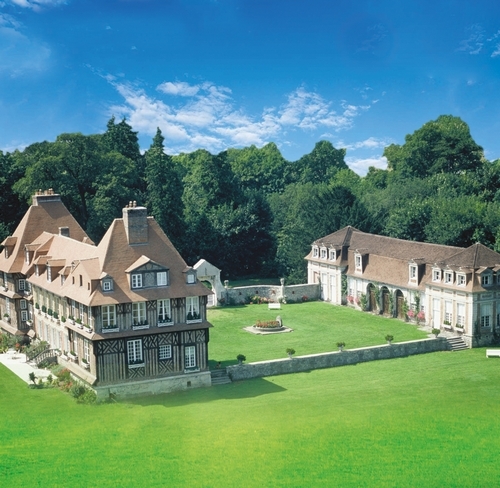 Come and uncover Normandy’s history through the different Norman architecture featured at the Château du Breuil. Proud of its 28 hectares and its one-hundred-year-old trees, the Château’s park is the perfect place to stroll and have a good time. On a walk through the Château’s park, lose yourself in the bird song and the sound of the wind in the trees, as you discover the one-hundred-year-old trees and pleasant relaxation areas. 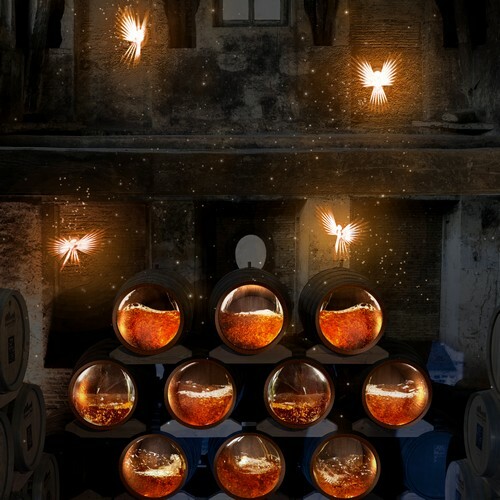 Started in 2017, this new sound and light show is a poetic introduction to the world of Calvados and its development. A tasting is a logical highlight to your visit. In the old press room, you can enjoy the results of the work previously presented: Calvados Pays d’Auge Château du Breuil. Tasting of 15-year-old Calvados and Pommeau de Normandie. Dégustation de Calvados 15 ans d’âge et Pommeau du Normandie. 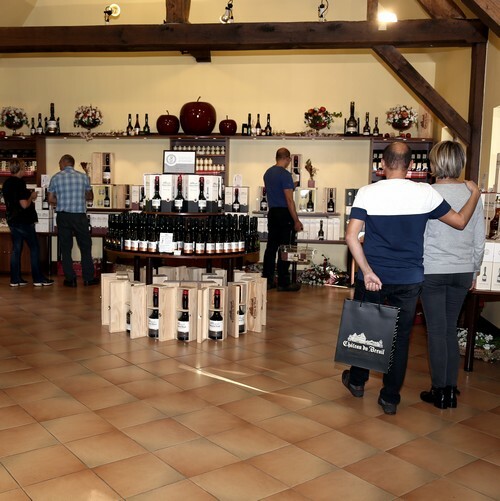 Discover the store featuring Calvados Pays d’Auge and gourmet products! For a souvenir, a gift or simply your pleasure, our store offers a wide range of Calvados and gourmet Calvados delights. You can even find exclusive products available only at the estate. 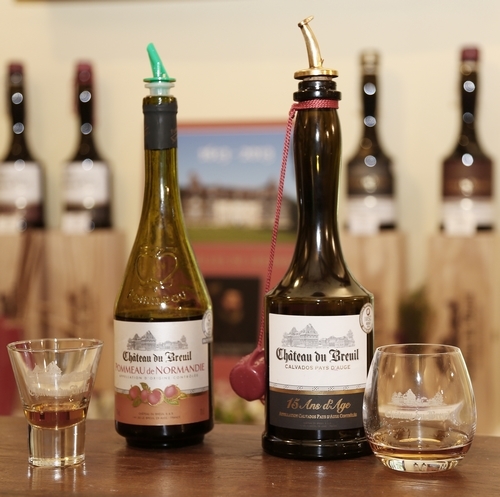 Please don’t hesitate to ask if you would like to taste the Calvados Pays d’Auge of your choice! N’hésitez pas à nous solliciter afin de déguster un Calvados Pays d’Auge de votre choix! Enjoy many fun family activities! You can enjoy several activities, workshops and games that make this an unforgettable experience for both children and adults. New! Come and discover your weight in apples through the Throne of Breuil! 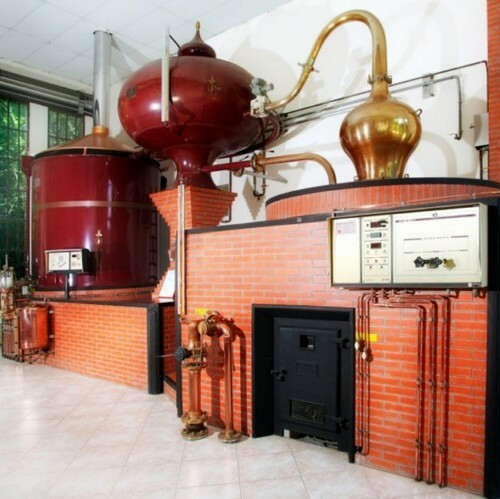 An application enables children to discover how Calvados is made through images, explanations and age-appropriate games throughout the guided tour. 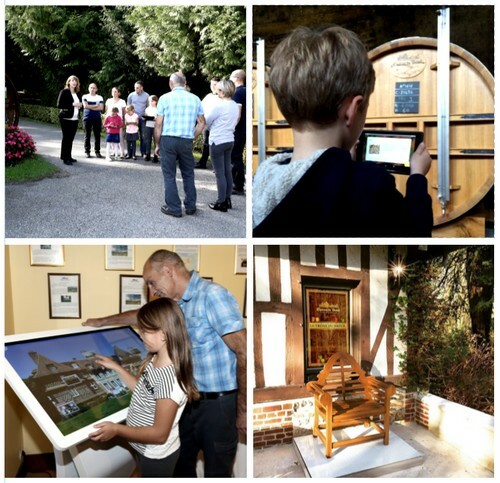 An interactive tablet allows you to discover certain secrets of the Château du Breuil distillery through secret videos! 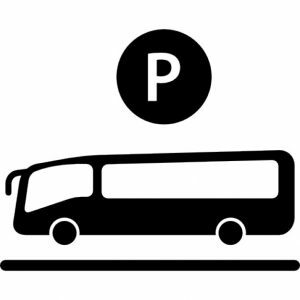 For your convenience, we provide car parking, coach parking and free wifi. 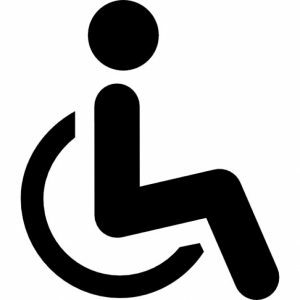 Our site is accessible for people with disabilities.